I decided to spin off from my "Bird"-themed storytime last week on the Storytime Bus and focus on "Owls" for my regular storytime today. He flaps his wings, and he says "Whooo? Whooo?" After they correctly guessed "owl" at the end (they first guessed "tiger", which was reasonable, especially considering last time we did "Lions, Tigers & Bears"), then I talked a little bit about how owls are nocturnal, what that means, and that their big eyes help them to see well at night when it's dark. Then I showed them a picture of me holding a large owl from our animal program last summer (see below). 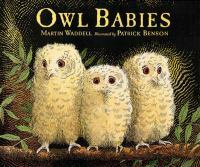 We proceeded with our story song, to which I added "say whoo, whoo" and "flap your wings", then we were ready to settle down and read our first book, the classic Owl Babies by Martin Waddell and illustrated by Patrick Benson. I love this story of three little owls waiting for their mother's return. The larger two are brave at first and confident she'll return soon with food, but begin to get worried. Little Bill just wants his mommy! Children can easily relate to the baby owls missing their mom and being excited when she returns, and they love saying little Bill's line, "I want my mommy!" over and over. Fly up in the tree and sit on a branch, sit on a branch, sit on a branch. Turn your head and say "Who, who", say "Who, who", say "who, who". Turn your head and say "Who, who", just like an owl. We also talked about how owls can turn their heads all the way around, unlike people, and let them try to do it to see for themselves. 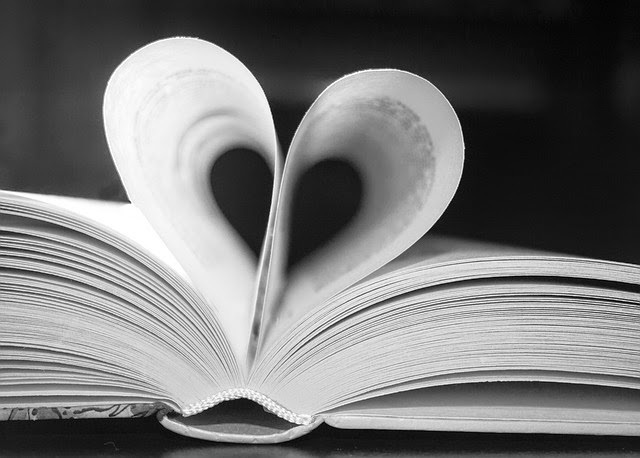 For our second story I chose one of Jonathan Allen's "Little Owl" stories, finally deciding on I'm Not Scared! In this story, Little Owl is taking his stuffed animal Owly for a stroll in the forest at night, bumping into Badger, Bear, and Bat. Little Owl begins to get very frustrated with everyone telling him he shouldn't be out at night, even though he is an owl and owls are nocturnal, and assuming he would be scared. "I am NOT scared! And I SHOULD be out in the woods at night. It's what owls DO!" he shouts. In the end, he admits his friend Owly was just a little bit scared. This is another opportunity to talk about owls being nocturnal, and to talk about how everyone gets scared sometimes, and that's okay. Next, I combined two different "Five Little Owl" poems. The first one counts up, and the second one counts down. That way we would get practice with both addition and subtraction. I had the kids use their fingers, while I used a magnetic board and various clipart owls I had printed out, laminated, and attached magnets to (Leah at Sunflower Storytime has also generously shared printable clipart owls that she made you could use as well). Along came another owl and that made five. *Five little owls hooted "Whoo, whoo, whoo,"
Five little owls! Are you keeping score? One flies away, and that leaves four. Four little owls, as happy as can be. One flew away, and that leaves three. Three little owls calling, "Who, who, who." One flies away, and that leaves two. Two little owls, having lots of fun. One flew away, and that leaves one. One little owl, and we're almost done. She flies away, and that leaves none! I pause at the end of each verse and let the audience fill in the number. If I hear several wrong answers, then we will stop and count them before moving on. Our final story was Tim Hopgood's Wow! Said The Owl. I like how this story starts off by explaining that owls are nocturnal and adapted to see at night, another opportunity to reinforce a new vocabulary word. One curious owl decides she would like to see what things are like in the daytime, so she naps at night and wakes up before dawn. She discovers a world of beautiful, bright colors, but decides the star-filled night sky is still the most beautiful sight to see. The audience can participate by saying the repeated "'Wow!' said the owl" line and naming all the colors. Then, they liked the "Be Like An Owl" song so much, we did it again, followed by our closing song, then I gave everyone an owl sticker. The class seemed to be having a bit of a rough morning; when I got there two of the kids were in tears and the noise level overall was fairly high. But we got everyone calmed down and ready for storytime pretty quickly. They know the routine now, and they tell me when it's time to do the welcome song, story song, and closing song, and they know all the words. They also liked seeing the picture of me holding Elliot the Owl from our animal program last summer. First I just showed it to them, and they were all looking at the owl, then I started hearing several of them saying, "That's you!" when they realized I was the person holding the owl. Most of them thought that it was really cool I got to hold a big owl like that, but one little girl seemed concerned for my safety and sweetly said she would save me from the owl. I explained that he was a very nice owl and used to meeting lots of people when he visits libraries and schools all over the place.